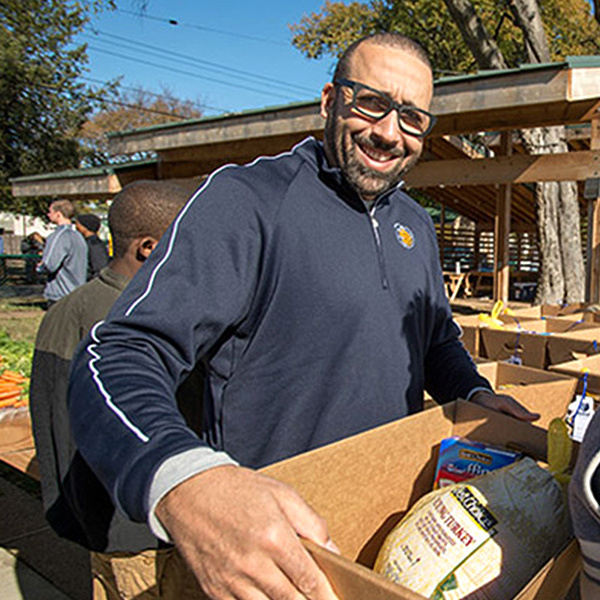 On November 19, Memphis Grizzlies Head Coach David Fizdale distributed 100 holiday baskets at Green Leaf Learning Farm, to families living in the surrounding South Memphis neighborhood. The holiday baskets were packaged with fresh produce, grown locally at the Green Leaf Learning Farm, and harvested by volunteers and community members. The fresh produce was paired with traditional holiday classics: turkey, dinner rolls, stuffing, cranberry sauce and brownie mix for a complete holiday meal.